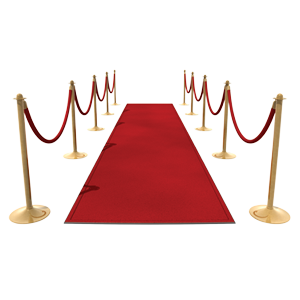 Before you roll out the red carpet, someone's got to cut through the red tape. Corporate formation and organization — From entity formation, including bylaws and operating agreements, to joint ventures and collaborations, to boardroom issues, we provide guidance for the structure and management of your organization to promote its objectives. Labor and employment — Our attorneys help nonprofit organizations navigate the complicated and frequently changing area of employment law to avoid time-consuming and expensive employment-related disputes. Nonprofit association health care plans — We can help nonprofit trade, professional and other associations determine whether they meet ERISA "bona fide association" requirements to offer large group health coverage to their members' employees. Our attorneys can assist organizations to confirm that they meet these requirements and assist in restructuring, if necessary. Community healthcare providers – Nonprofit health care organizations large and small provide important services in the communities they serve. Our attorneys can help nonprofit providers ensure that their activities are consistent with requirements to maintain tax-free status. Gaming law — Nonprofit organizations frequently use silent auctions, raffles and other methods to raise funds. Our lawyers stay abreast of current regulations that affect such fundraising and gaming activities to help our clients avoid penalties. Commercial litigation — Our lawyers' reputation for professionalism, preparedness and skill in the courtroom is second to none. We prosecute and defend claims for nonprofits in a broad range of areas such as contract disputes and insurance coverage. Our attorneys provide responsive, client-oriented guidance to help your organization meet its goals. We work hard to be a "one stop shop" for all your organization's needs to maximize the benefits of an effective attorney-client relationship. We provide advice and advocacy for foundations, tax-exempt corporations, trade associations, charitable organizations and other nonprofit entities. To schedule a consultation with our Lexington or Louisville business law and formation attorneys, contact the McBrayer firm.